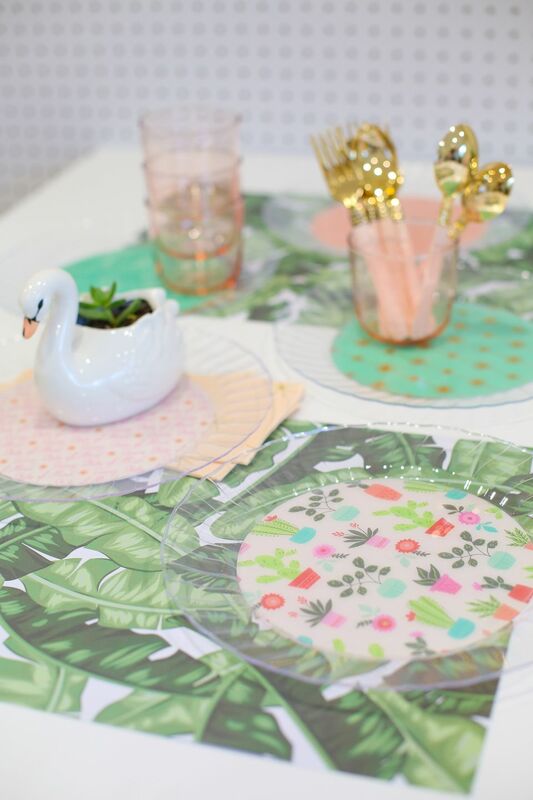 Add a little color and whimsy to your dinnerware! 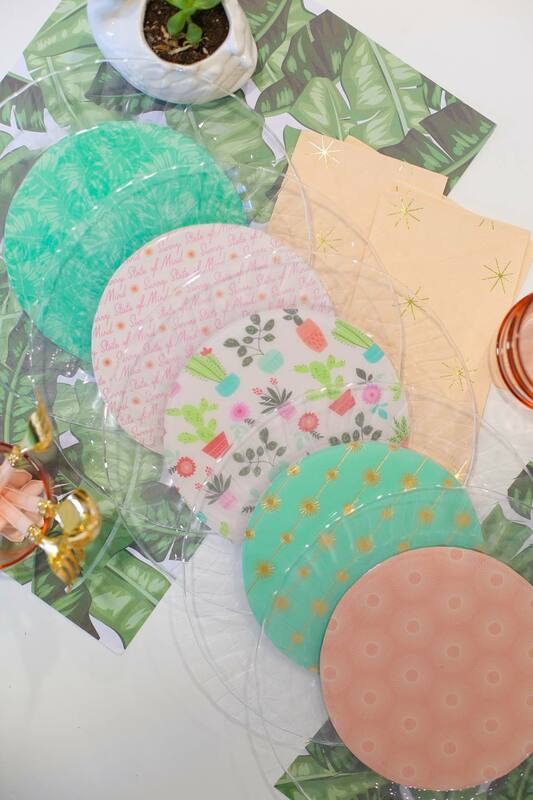 These fun and colorful decoupage plates are a quick and simple project that will take your meals and parties to the next level. They're a perfect project to customize, choosing your favorite patterns and shades. And you can use this same decoupage technique on clear glass or clear plastic plates, so chances are you've got some materials you can use at home already. We'll be decoupaging the underside of these plates, and that means that they're food-safe, too! Start with clear glass or clear plastic plates for this project. A great source for these is a dollar or thrift store. You can find some clear plates for a great price and use this project to make them one-of-a-kind. Use the pencil to trace around the flat portion of the underside of the plate. The paper will be applied to the flat portion only (not the flared edges of the plate), so slip your pencil under the raised plate edges and trace the circle that remains flat on the table. Once your circle is traced, cut along the traced line with scissors. After the circle is cut, place it on the bottom of your plate to be sure it's a good fit. If you need to trim any excess, do so now. Use the first circle you cut to trace and cut more circles in various colors or patterns. We love using lots of contrasting patterns in one color palette to create visual interest, like these fun, Palm Springs-inspired prints. Flip a plate upside down. Apply a thick coat of Mod Podge or other adhesive to the flat circle in the center bottom of the plate. Apply the adhesive right up to the edge of the circle. Place one of your paper circles onto the Mod Podge, pattern side down. Smooth it out with your fingers to remove any bubbles. If you find that any bubbles are appearing, just press them toward the edges of the paper until they disappear. (You can check for bubbles by flipping the plate over and looking through the glass. Apply another layer of Mod Podge over the top of the paper, smoothing as you apply. This will help firmly affix the paper to the plate, and protect from any errant spills. Allow the plates to dry and cure upside down for about 24 hours. Then set your table and enjoy! After use, these should be carefully ​hand-washed, avoiding as much water on the underside of the plates as possible.